Note! Updating this website has ended on 30 June 2014. Our new website is at http://malmiairport.fi - please update your bookmarks! Welcome to the website of the Friends of Malmi Airport Society! The Friends of Malmi Airport Society (FoMA) is a civic organization founded on 23 March 2002 to actively support the preservation and development of the historic Helsinki-Malmi Airport. Helsinki-Malmi Airport is by flight operations the second busiest airport in Finland and one of the best preserved civil airports from the early days of commercial aviation. It is threatened by ambitions to turn the airport into a residential area. Malmi Airport offers the greater Helsinki area of more than a million people an international airport for light traffic, an active recreation and hobby oasis, a venue for public aviation events and a chance to get educated into aviation professions. The historically valuable milieu also serves with distinction the Border Guard, the Rescue Department, the Air Force and the Police. In addition, the airport is a spacious nature and bird oasis in northeastern Helsinki. The location of the Airport can be seen on the satellite image map. Why save Malmi Airport? 10 reasons. 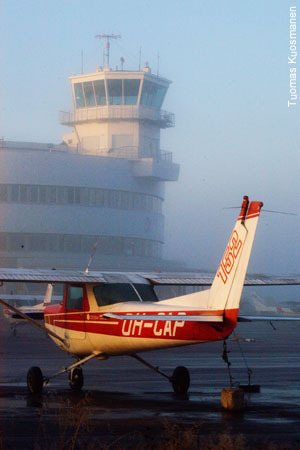 The image of aviation and Malmi Airport: common misconceptions. News 27 March 2014: The Finnish government has made a decision in principle to close down Malmi Airport by 2020 in order to "improve the capacity for housing construction in Helsinki region". (Current topics archive: see Press releases / News / Reading).